You will have to obtain your North Carolina marriage license within 60 days of the wedding. You can get the license from the Register of Deeds of any North Carolina county; it is valid throughout the state. You will both need to bring a picture ID and a valid document that has your complete social security number on it (e.g. pay stub, social security card). You can call the Register of Deeds in the county of your choice to get particulars. Two witnesses of your choice will sign the license at the wedding. 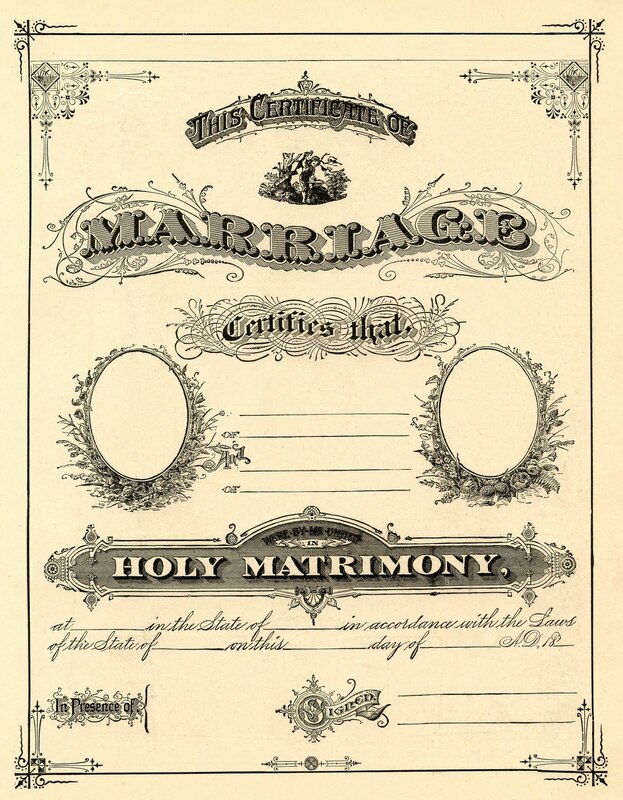 In many counties the witnesses have to be 18 years of age; some counties require only that the witnesses be of an age that they would be able to testify that the wedding took place should it ever be necessary. The officiating minister will then complete his/her portion of the license and return it to the issuing Register of Deeds; this must be done within 10 days of the wedding. 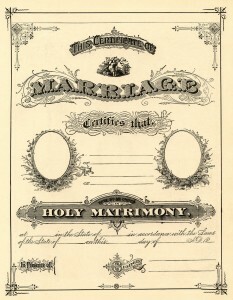 The Register of Deeds will record your marriage and send one copy to the State Vital Records in Raleigh to be recorded there. You will require a certified copy of your license as proof of your marriage.. You can order it at the same time that you receive the original license and pay the issuing Register of Deeds the $10 fee at this time; they will automatically send you a certified copy after it is processed. Otherwise you can order your copy by mail two weeks after your wedding day or appear in person to obtain it, paying the fee at this time. Once you have received your certified copy, you can make copies. The Social Security office will want to see the original and should return it to you; the same is generally true with the US Passport office and the DMV. If one of you is going to become a dependant on the other’s health insurance, you generally have 30 days to do so. Marriage is a “qualifying event” that will allow you to make this change mid-period. If you miss this timeframe, you will have to wait until the next enrollment period.